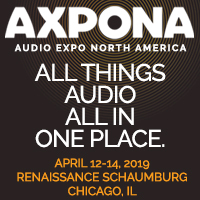 If you are introducing a new product at AXPONA or have a special story to share tell us about it by filling out the forms above. We will send it to our PR team and they will help promote your company along with AXPONA. Meet Sophia Lapat and Natalie Stanichuk, AXPONA's PR Team! Together they have over 25 years of experience in the consumer and tradeshow industry handling PR for a number of nationally renowned events and fairs. Our PR Team will promote your company and participation at AXPONA. All you have to do is provide the information! Complete the PR Survey by February 15. The opt in pre-registered press list will be available to exhibitors on March 22, 2019. Send a request to Sophia or Natalie to receive the list. AXPONA is partnering with influencers and press in the Chicago area to promote AXPONA. If you are interested in gifting product to an influencer to help us spread the word, please contact Sophia and Natalie. Along with the AXPONA logo or banner don't forget to include your exhibitor location and the URL (http://axpona.com/). 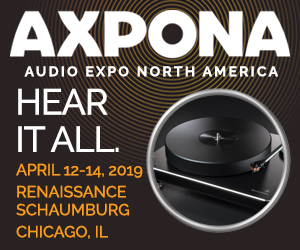 You can also include the AXPONA show blurb (see below). For print quality materials or if you are looking for something other than what we have listed please contact Jordan Brereton at Jordan@jdevents.com. Offer Your Customers $5 off three-day passes! Sending out an email to your customer database? You can offer your customers $5 off 3 day passes*. Email Jordan@jdevents.com get the discount code. Please note: The discount is for 3 day passes only and does not apply to the Gold Pass. The discount is for new registrations, there are no refunds for those who have already registered and then receive the discount code. Need AXPONA tickets for for a special guest, partner or client? We offer exclusive discounts on tickets purchased by a current exhibitor. Contact Jordan@jdevents.com for the rate and more details.